Leveraging technology to maximize crop output and efficiency is an effort that takes a lot of coordination. 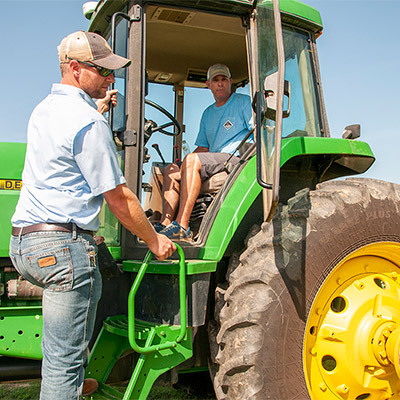 A strong partnership between a farmer and his or her precision ag team is necessary. Rees Bridges knows this from experience. He’s the principal of Auburn, Alabama-based InformedAg, LLC, and an engineer by trade who grew up in a family rich in agricultural expertise. His father, Dr. David Bridges, is one of the most respected agronomy and weed science specialists in the nation and serves as senior lead science and agronomy consultant for InformedAg, which serves farmers in Georgia and Alabama with agronomic advising, crop research and precision ag technology. Today, Bridges said the journey he’s been on since earning his master’s degree in biosystems engineering from Auburn University mirrors that of many of his customers. “Precision ag is the area where, to a degree, I’m still learning,” said Bridges. 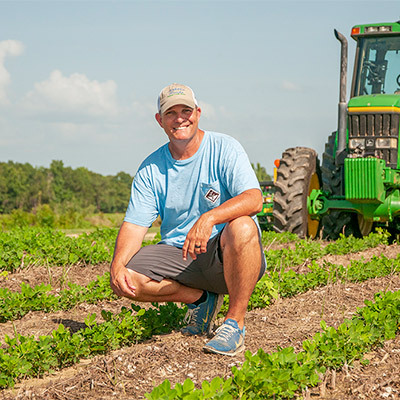 One of his customers is Mitch Lazenby, a diversified farmer in Lee County, Alabama. On top of an agri-tourism business, Lazenby’s family operates between 1,500 and 2,000 acres of cotton, peanuts, corn, soybean and sesame. Successfully maintaining a business of that broad scope requires major attention to detail, making it important to have a strong relationship with Bridges, his precision ag and technology partner. Bridges knows his farmer-customers have access to reams of data and information, including that from third-party research efforts. But, the only way to truly know how different practices perform on your farm is to test them on your farm. 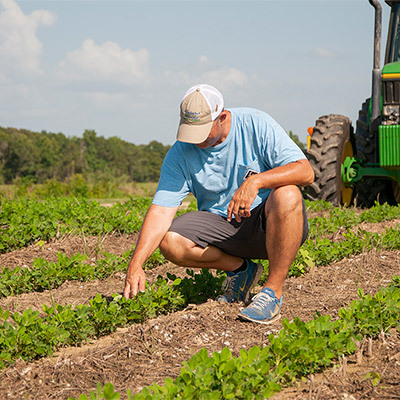 Add in the capabilities provided by Ag Leader tools and platforms to on-farm research and it takes on a significance beyond simply noting which crop varieties and management practices perform best on specific farms. The technology not only adds to the research results you’re able to collect, but it also streamlines the process of obtaining those results. 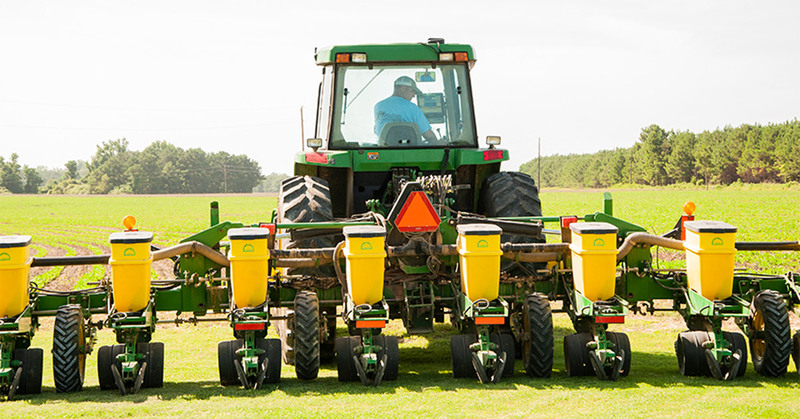 “Planter control technology provides extreme value and opportunity for farmers to produce their own data. 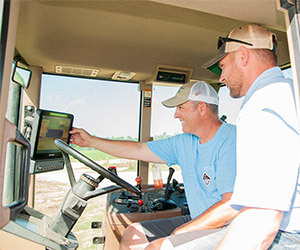 AgFiniti helps provide real-time access to data and give farmers the chance to conduct true statistical analysis through automatic information generation,” Bridges said. “If they start conducting a lot of variety trials, for example, these tools allow them to go back and easily review the results and specifically manage a spraying program, for example, to maximize the output of those varieties. Conducting your own on-farm research trials does have costs. You’ve got to dedicate time, resources and money to the pursuit of crop and land performance knowledge and information. That can be a tough proposition when crop margins are already tight, and that is why it’s important to use every tool at your disposal to maximize the value of your on-farm trials. That value grows as does the volume and variety of the information those trials supply.